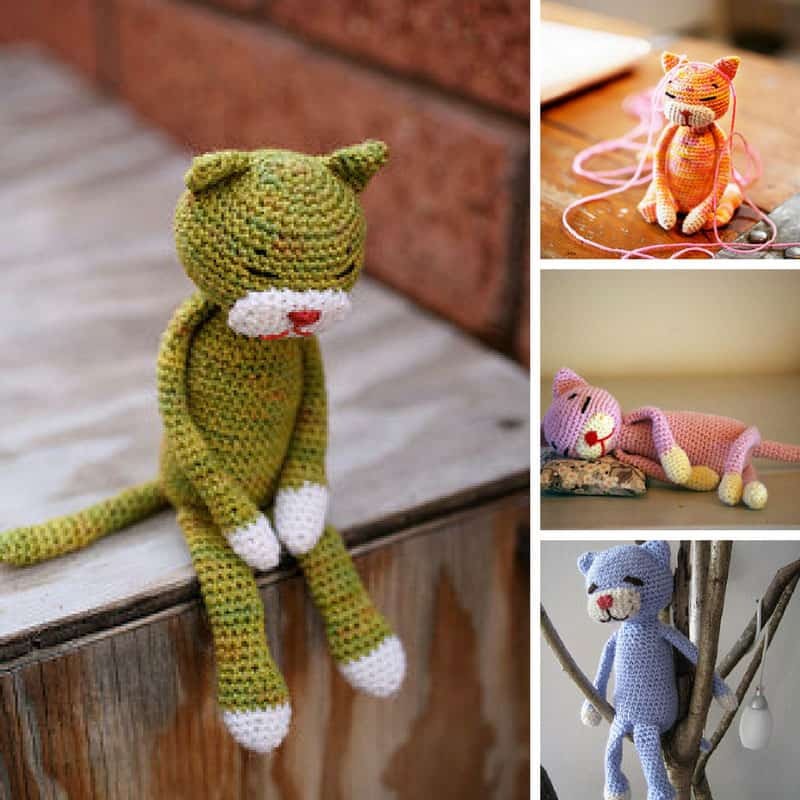 As we were browsing Ravelry we couldn’t believe our eyes when we came across this rainbow of crochet cats. Aren’t they just the most adorable things you have ever seen! 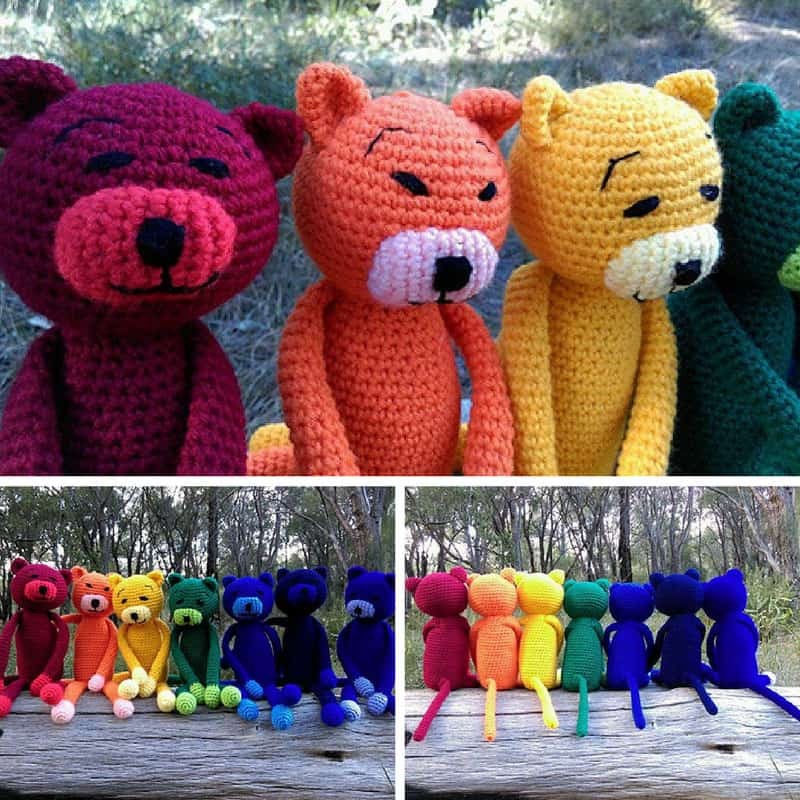 Linda Davies crocheted this clowder of 13 rainbow cats using a free pattern from Neyoyama. The original pattern calls for sock wight yarn but Linda used DK/light Worsted yarn to make the cats larger. We bet you have enough yarn in your stash to make an entire rainbow clowder too! If you’re wondering what Amineko means it’s a combination of the Japanese words ami, nuigurumi and neko. 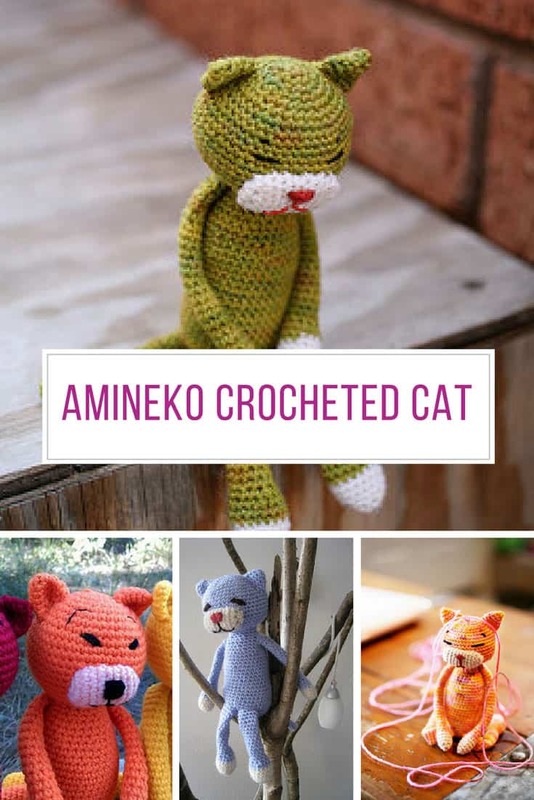 We already know the combination of ami (meaning crochet or knitted) and nuigurumi (meaning stuffed doll) as amigurumi (crochet stuffed dolls) and neko means cat. So this is a pattern for an amigurumi cat! If you’re new to amigurumi crochet, or you just prefer to follow along with someone else hit play on the video below for a video tutorial. Nekoyama loves her little Amineko cats so much she’s actually written a book about them. Not only does it include instructions on how to make the cute kitty and his friends but also directions for different facial expressions, clothes and bedding! There are hundreds of photographs in the book telling adorable tales about the mischief these cats get up to!